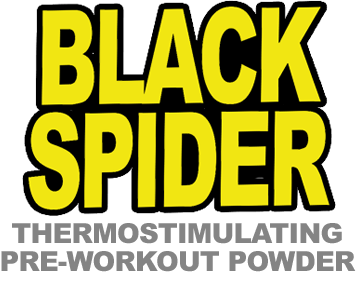 BLACK SPIDER POWDER delivers a wickedly potent boost of energy, metabolism and performance. * Amazing vasodilator that supports blood and oxygen ow to muscles for super pumps. 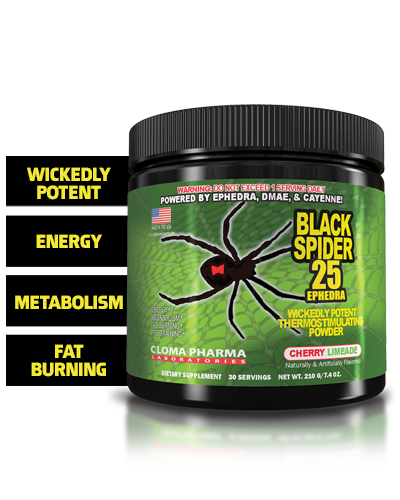 * The "venom" of this stacked formula is sure to provide unrelenting thermostimulating effects. cial avors, silicon dioxide, acesulfame potassium, sucralose, dicalcium phosphate, organic beet root powder (color). SUGGESTED USE: FOR WEIGHT MANAGEMENT: Mix 1 serving with 6-8 oz of cold water early in the morning each day. AS A PREWORKOUT: Mix 1 serving 20 minutes before training.